Repeating the same material spillage clean-up every week can feel like climbing a hill that gets steeper and longer with every step. Even though you can plan to stop production so that the clean-up can be completed safely and when resources are to hand – it still doesn’t make it an efficient task. Allocating resources to deal with any spillage clean-up when they could otherwise be allocated to do more productive preventative maintenance is unproductive. This was the problem that our wood chip customer was experiencing. The Maintenance Supervisor had estimated that the spillage was costing the company approximately $2000 each week to clean-up and take away. 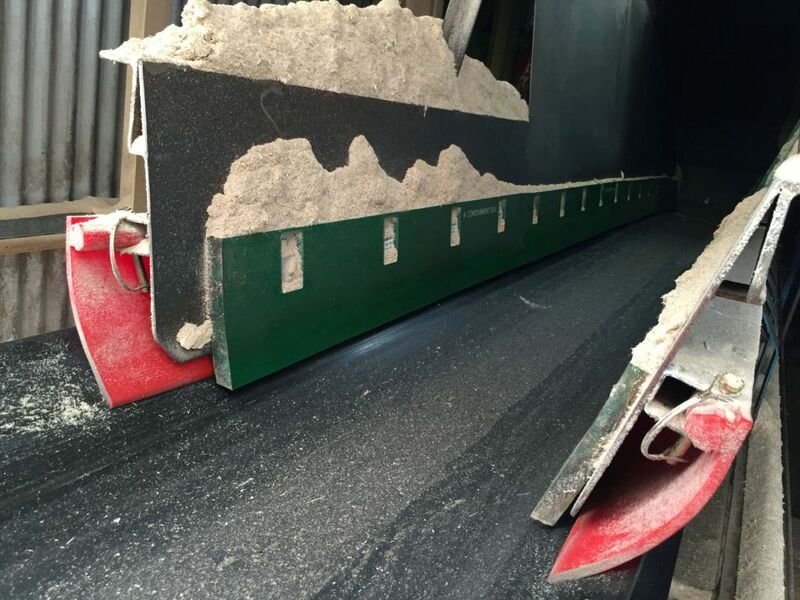 Kinder Australia recommended the installation of K-Containment Seal to effectively contain the bulk wood chip material and handle the high internal chute pressure. K-Containment Seal is a high performance, low friction engineered polyurethane system that provides exceptional resistance to wear. The slotted arrangement allows for installation adjustment to ensure that material cannot be entrapped leading to premature belt damage. The K-Snap-Loc® Dust Seal System was also installed in combination with K-Containment Seal. This strong and very pliable polyurethane’s inherent “memory-set” applies efficient downward pressure on to the belt’s surface to create a fine tight seal without the need for any further manual adjustment.